It's been awhile, but I'm back to the white feather theme again today. Here are three experiences from Emma, Jody and anonymous - my thanks to them for telling their stories. "Thank you for your posts about white feathers it has helped explain to me that it isn't simply my imagination that such things happen. I read that you had three people close to you who died in a short period of time. The same has happened to me and each time I have seen white feathers. The first time it didn't mean much to me, it was like, "Oh, there's a white feather at the graveside." The second time I thought it a coincidence that it had happened twice. But it happened again last week and it's then that I searched Google and found your posts. My sister died of cancer. It was expected, but nevertheless a great shock when it actually happened. The moment before she died she looked brighter, smiled and said what sounded like, "Hello grandma." As I went to leave her room at the hospice there was a large white feather resting in the doorway. At my sister's funeral, at the graveside as they lowered the coffin, another fluffy white feather fluttered down from somewhere and settled on her coffin. It was very strange but somehow it made me feel better about my loss. Afterwards my brother asked if I'd seen the white feather, so it was for real. Since then I've seen several feathers and each time I say a thank you to my sister." "I had never heard this before [about white feathers] but about three years ago after my beloved cousin had taken her own life and I was writing my aunt my condolences I looked out and amongst the pouring rain I saw a lone white feather ascending skyward somehow avoiding the rain ... I had no doubt in my mind it was her ... showing me she was at peace. Crazy. 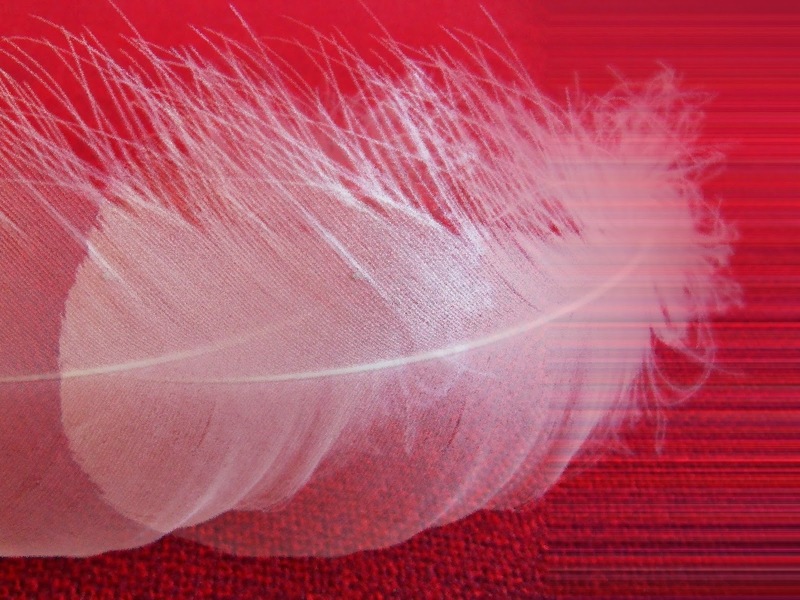 "I've never heard of white feathers as messages from the dead - until I read this here. But my spiritual teacher, who is now dead, has been sending me white feathers for years. He does it when I've been 'worrying' a problem and think I might have arrived at the right answer." I love these stories. They are comforting and when you think about the odds, astounding!